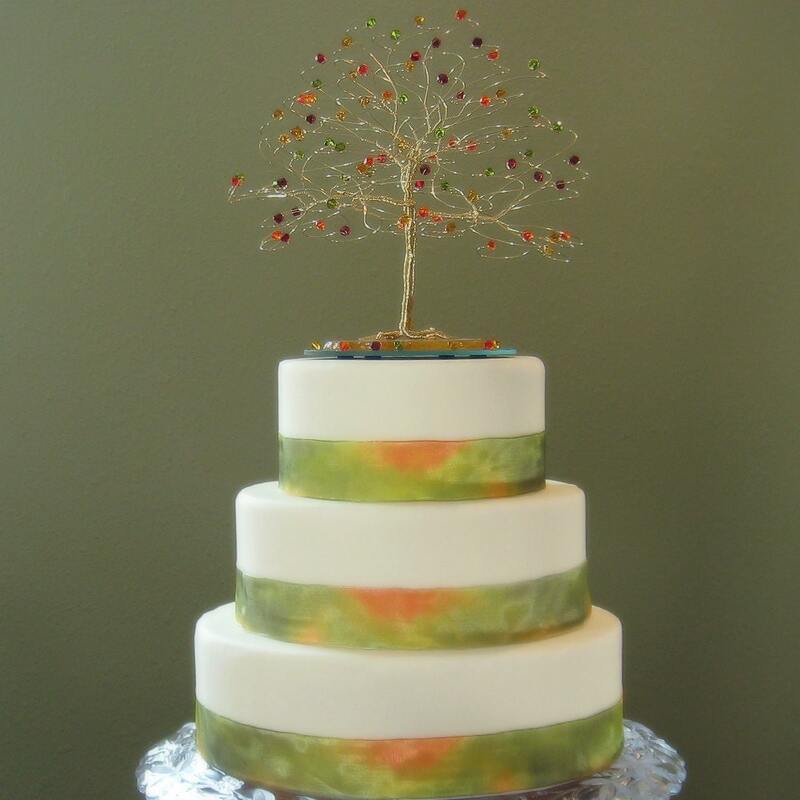 This listing is for a 7" x 7" fall wedding cake topper / tree cake topper with fall swarovski crystal elements. 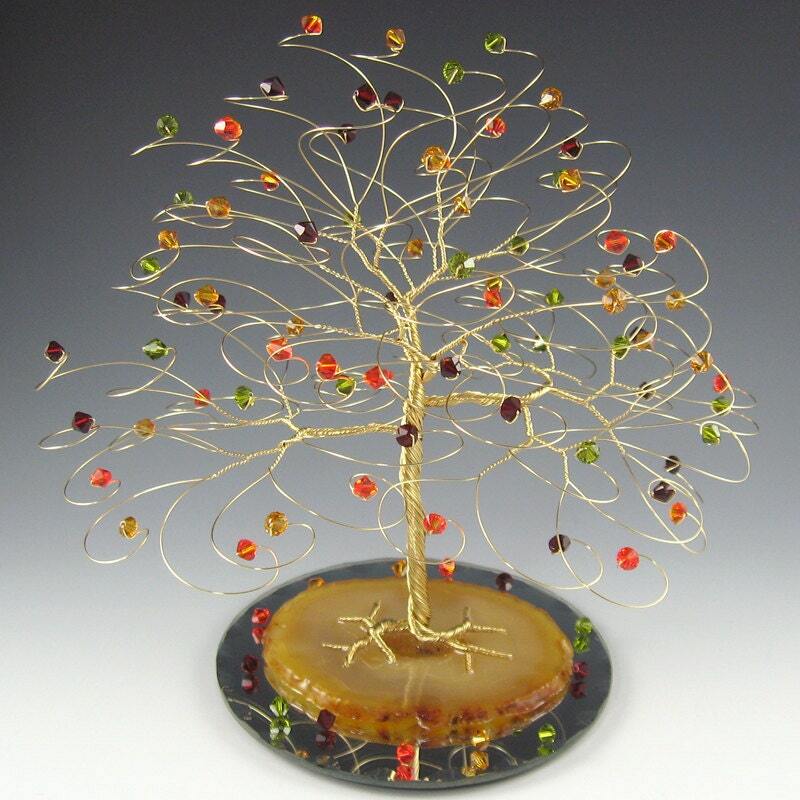 The tree comes in your choice of silver, copper, or gold wire. Just choose your selection from the drop down box and add to cart. 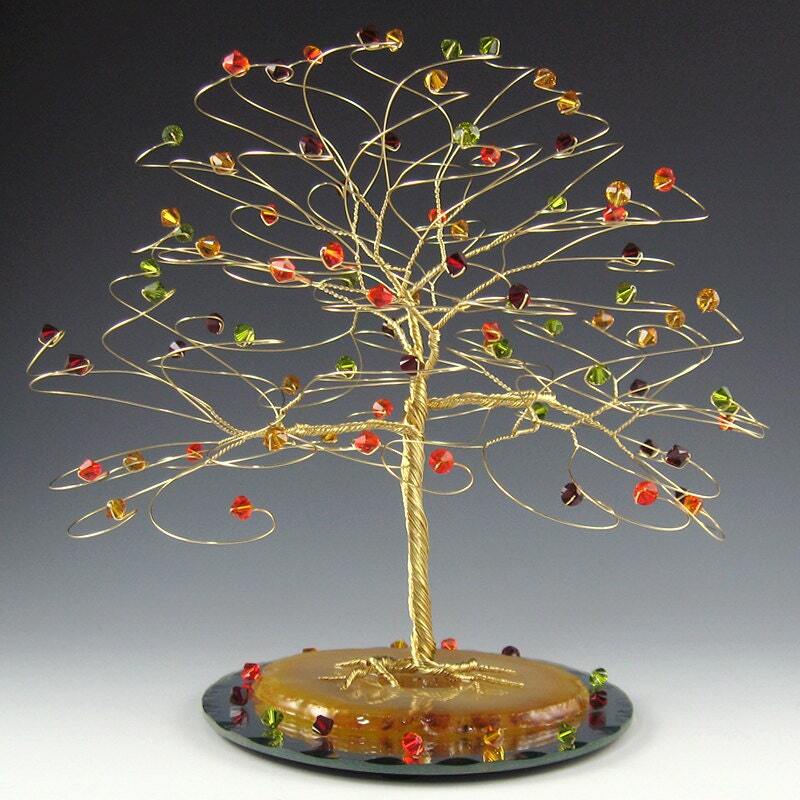 Wire tree cake topper measures approx 7" tall x 7" wide with every branch ending in genuine swarovski crystal. 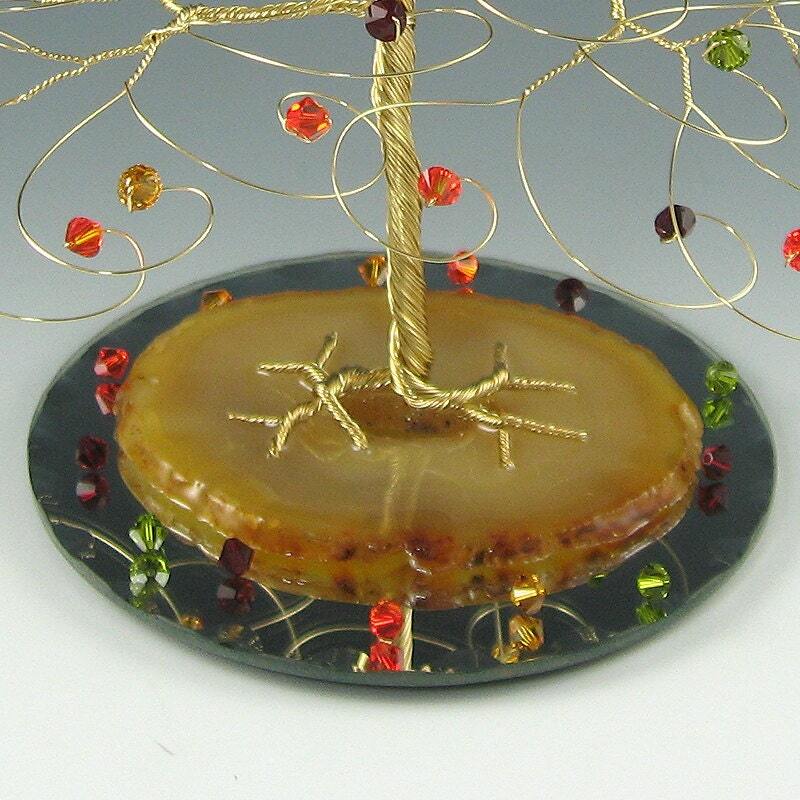 Tree base is brazilian agate mounted to a 5" round mirror. This will fit a 6" or larger cake top. 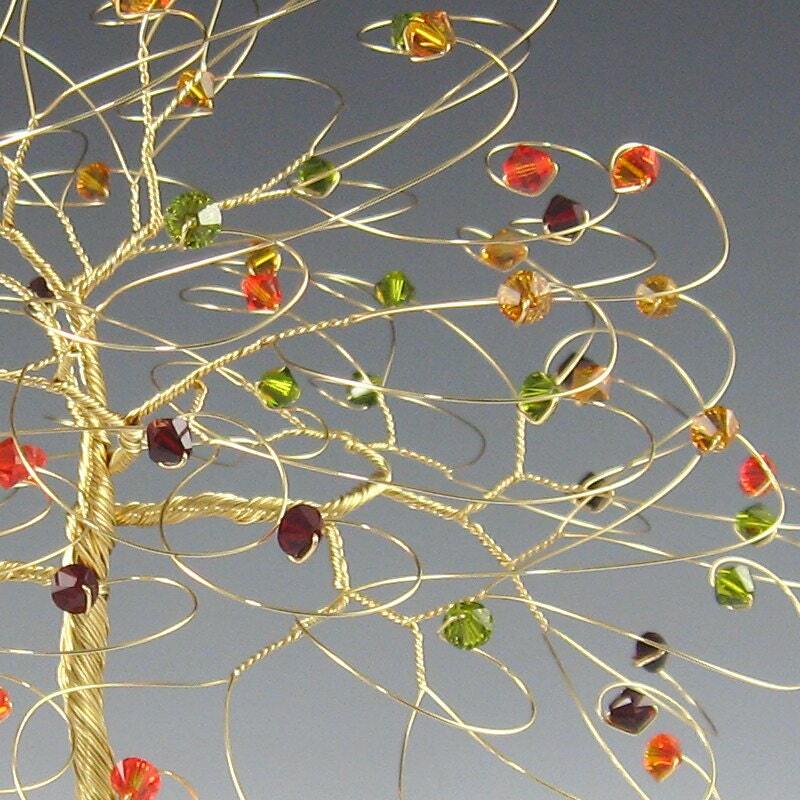 This listing is for fall colors red, orange, green and yellow. Weight is about 8 oz. Cake shown has tiers that measure 6", 8", and 10". I love this cake topper! It is absolutely gorgeous and exactly what I asked for! So excited to use this on top of my cake in a week! Stunning product, shipped in good time.